Hello everyone! This is aspecial layout I made as a tribute to my Dusty Attic sisters. There are 17 of us and I had to somehow fit us all onto one layout! So I decided to create a gatefold double layout. I used fiber paste to create a brick pattern and added color with spray ink. The Grass Border (DA0659) and Vintage Nameplate (DA0463) are also chipboard elements that were painted and inked. 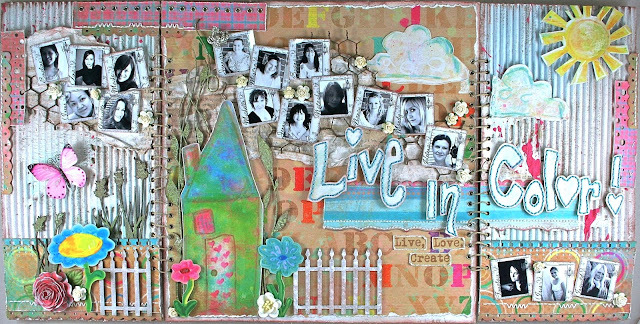 I love the dimension chipboard adds to any project. This is the inside of my layout. Look at all of those photos! LOL! Each photo was adhered using Helmar Zapdots and 450 Quick Dry in order to layer the photos on top of one other.The papers I used are by Susiebee Studios. 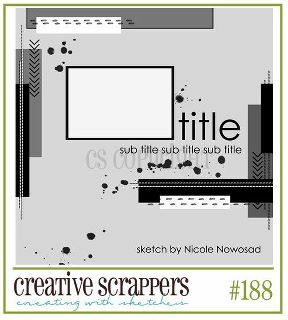 This layout was inspired by this week's sketch over at Creative Scrappers. 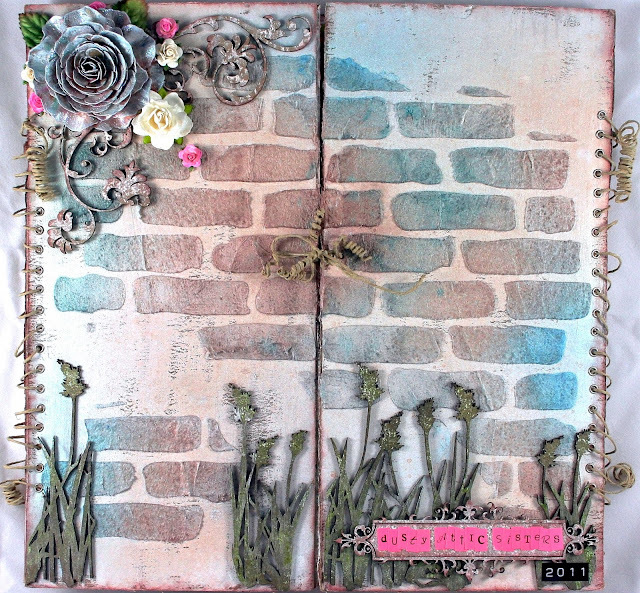 I used numerous punches to create decorative borders throughout the layout. The large blue flower was cut from one of the cute papers. The butterfly is from Karla's Kreative Korner. She has many beautiful, handmade goodies in her shop. The house was also cut from the Susiebee Studios papers. 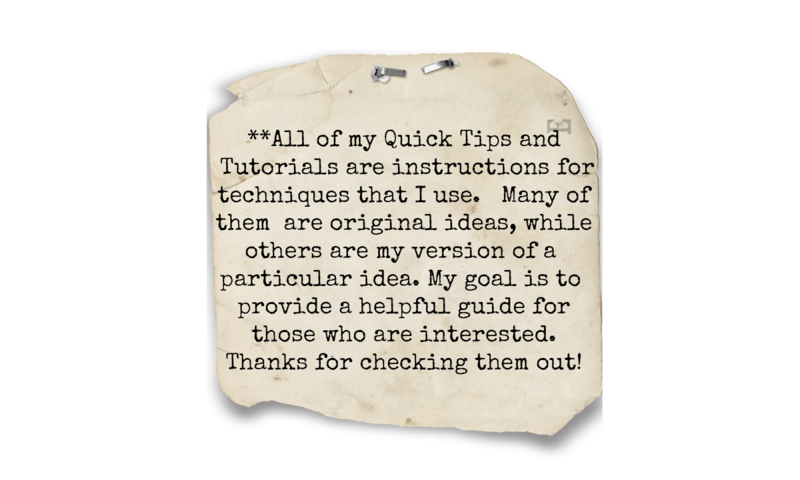 I adhered it to my layout using Zapdots for added dimension. The sections of my layout were joined with hemp cord laced through eyelets. The title letters were fussy cut and the borders were hand-stitched to help them stand out. Again, I used Zapdots to add dimension. I think it is one of my all time favorite adhesives! 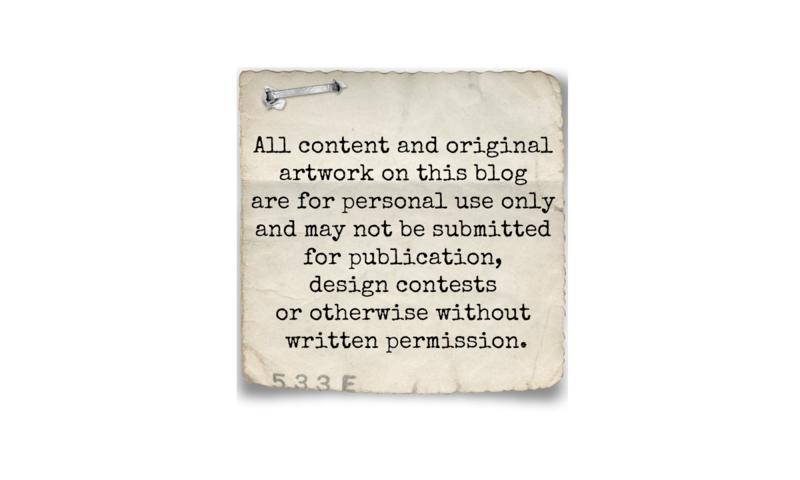 The distressed paper in the background was torn from Donna Salazar's Crafty Chronicle. Thank you for stopping by today. Wishing you all an incredible New Year!! I love how you each put your own personal touches to your DT Lo!!! Thank you for always giving us great close ups to really enjoy your intricate work!! So inspiring, Natasha!! Love the design, the colors and every single, beautiful detail! How fabulous is this! You created sorta like a mini-album about you & your DT sisters...lots of details as always...I especially like your 'gatefold' layout concept...definitely a great idea for when you have many photos. Gorgeous work as always! Wow this is beautiful Natasha!! So creative!! Delightful as always. Love all the details that pull everything together. Thanks for sharing such loveliness. Love your gorgeous layout.... so many wonderful textures and colors. You make me want to play right now! Piękna, klimatyczna praca:)) Potrafisz fantastycznie bawić się kolorem i mediami:)) Tylko pozazdrościć! Życzę dobrego Nowego Roku!!! I'm a big fan of small photos and so I truly love this layout!!! Everything is so stunning and it came out beautiful. I look forward for another year full of many awesome pages!! All the best for the new year!